Today I received an interesting message from Charlotte, a friend of my elder sister. Charlottes son Lasse, had a Happy Touch for his birthday. When he was found from being left alone somewhere in China and put to his foster home – his hands was deformed in varus position. 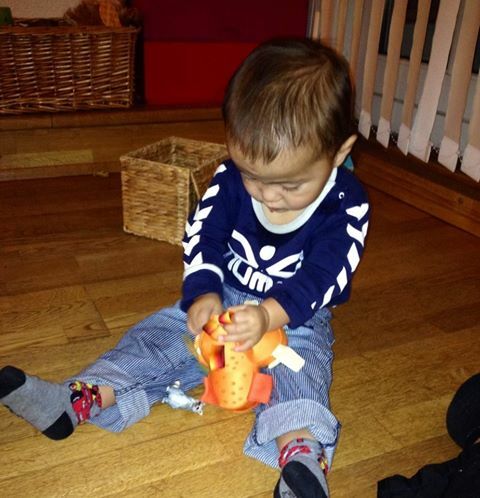 Therefore my sister gave him the Happy Touch activity tool to stimulate his hand and finger mobility. Charlotte reported back to me, that Lasse sat with the tool for many hours and was so focused that his lip started dribbling. Thats concentration! 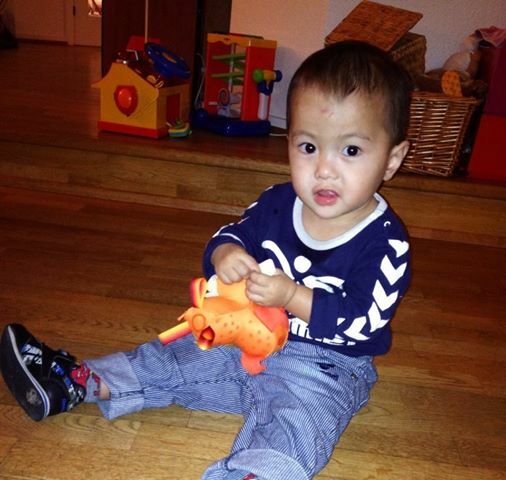 Cute Kid – that Lasse!